According to recent studies, in 2019, the location services market will have grown significantly to reach 38.87 billion. For comparison: in 2014, the figure was only 8.12 billion. The success of geolocation technologies and GPS tracking systems is quite understandable: they allow taking a fresh look at mobile advertising and app development industry. Moreover, another survey confirms that over 40% of smartphone users prefer applications which personalize content depending on geolocation. It's high time to recall geofencing features which have obviously become one of the location-based marketing trends. Have no idea what this is about? No problem! In our article, we're going to tell you what geofencing is and why you need it. You'll learn different ways to apply geofencing to your business and to location-based marketing strategies. 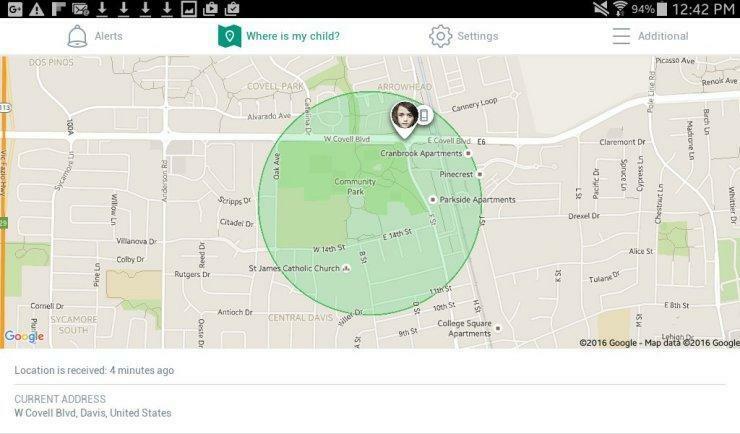 Geofencing is a kind of GPS tracking system for mobile apps. It is a technology which allows you to automatically detect and perform scheduled actions when a user's device is located in designated geofenced areas or leaves such. In other words, the technology helps you interact with customers who are in a given radius from the object. Unlike beacons, which are designed for point locations (like a specific store in a shopping center or even a single product), geofencing software gives you a chance to reach everyone who is in the territory you set. And this is its undoubted advantage. Suppose you have a shop (sports club, beauty salon - whatever! ), and you want to increase its profitability. Knowing its exact address (and GPS coordinates), you can create a virtual geofence area around it - area whose intersection forces the application to perform the desired action (of course, you must develop such an application, to begin with). Later, we'll talk about options of these actions which would be beneficial to your business; however, you should already imagine the abyss of amazing opportunities which open up to you. In the meantime, it is worth discussing how a geofencing technology works. The technology is now supported by the Apple iOS (version 7.0 and higher) and Google Android (from 2.2 version) geofencing platforms. So you can freely use geofencing to improve apps of any type. How does geofencing work on iPhone and Android? Geofencing technology combines the interaction of IP addresses at the device level with GPS data and information from the cellular network. Namely, essentially, geoprocessing implies active interlocation between the device and the IP addresses around it. When our gadgets communicate with different routers or other similar connections, device addresses are being registered on this IP address (and vice versa). The described scheme allows data experts to find the device and, therefore, the user or consumer. There are several geoprocessing options, as well as detailed information on how all these technologies work. Though, you, as a business owner, should only understand the very basics of such a complex process. Wi-Fi. It is another good location data source comparable in accuracy with GPS. Wi-Fi works in public places and therefore covers a large number of people. Beacons, small devices able to detect mobile phones (and other similar gadgets) in close proximity to their own position. They are connected via Bluetooth which has more cons than pros; that’s why they’re gradually losing their popularity. If you remember, we've already mentioned the flaws of beacons at the beginning of our article. GPS-based geofencing software is clearly preferred today. Cellular operator data and IP address are the least accurate sources of location data, as they often determine the wrong position. In addition, the IP address can be changed - and people do so quite often when using VPN. Want to know more about location-based marketing apps and how they work? You’re welcome to read our article! When choosing the optimal source of location data, some limitations must be considered (in addition to the accuracy factor). However, we’ll discuss the requirements and limitations separately. You should create a virtual geofence zone, specify its radius, and determine the source of the user location data. But remember, there are some requirements and limitations to discuss in the first place. Distance limit. It is usually recommended to set the radius within 10 - 500 m. However, taking into account the fact the geofencing technology may have a slight error in determining the exact current location of a person, the optimal figure is approximately 50 meters. The time limit which implies updating the information every 3-5 minutes. Though the mentioned number is very conventional, and usually, the notification of an event comes almost instantly. The limitation to obtain location data. Yes, GPS seems to be the best choice. But only at first glance! The problem is that the reception of the GPS signal requires a lot of energy, so the batteries in users' smartphones would have a shorter life. Another disadvantage of GPS is the difficulty to use it in the background, and your customers are unlikely to walk past your outlet with an open application. On the other hand, there is a passive type of geofence, when the technology is running in the background and consumes less energy. But it doesn't use GPS, so, alas, you can't hope to get high accuracy of the location data. That’s why it might be advised to combine active and passive geofencing. We hope our cautions regarding limitations haven't scared you away. Believe us, with the right approach, the geofencing platform is a great tool for location-based marketing strategies. And an experienced expert, focusing on your specific case, will be able to give you advice on how to circumvent the mentioned pitfalls. The statistical approach based on the user's position in relation to a particular place. Let’s say, a message comes to certain users when they enter the store. The dynamic type of geofence based on the user's location in relation to the changing data stream. For instance, a notification on a free parking space is being sent to a driver passing nearby. 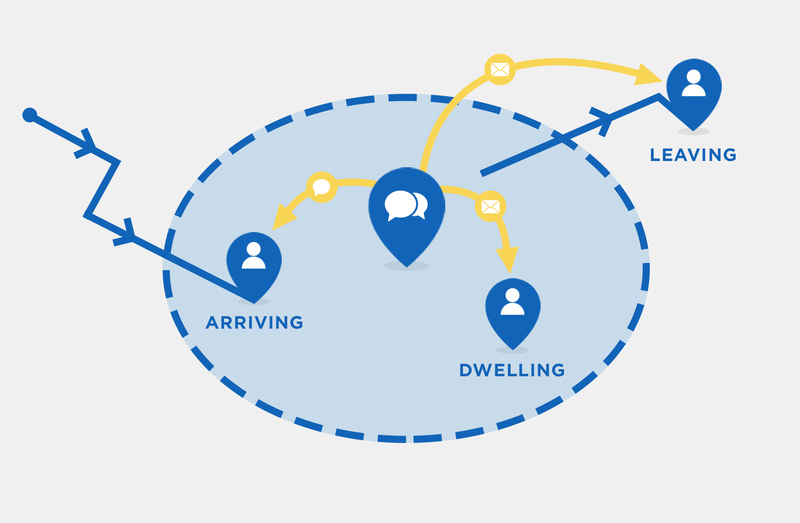 A collaborative approach based on the user's location in relation to other users. Among examples of this geofencing approach, we'd like to mention notifications about check-ins of user's friends nearby from mobile social applications (Yelp, Facebook, Foursquare). All far-sighted entrepreneurs should use geofencing to improve their business. This is clearly a smart step in the company development process because, according to the western programmatic platform Smaato, organizations which take advantage of the user location data have higher eCPM (advertising monetization) and fill rate (percentage of ad requests in the advertising network). So traffic data with the geofencing approach is a new effective location-based channel to interact with the client. Customer Attraction. If a user enters one of your geofenced areas, he immediately obtains a notification about the possibility to get a discount, participate in the promotion campaign, buy an interesting novelty… whatever! It all depends on your imagination. Competitive struggle. You have a lot of options to suppress other market players: you can create a virtual geofence zone around the institutions of your competitors and find out what percentage of customers visit their stores (beauty salons, fitness clubs, clinics). You might even launch such a campaign: when a client enters a competitor's territory, he receives a message: “Hey! What are you doing here? We'll give you a great discount, besides, we have a better line of goods!” Of course, the approach is somewhat extreme, but, as they say, nothing ventured, nothing gained. Collection of information on tastes and preferences. 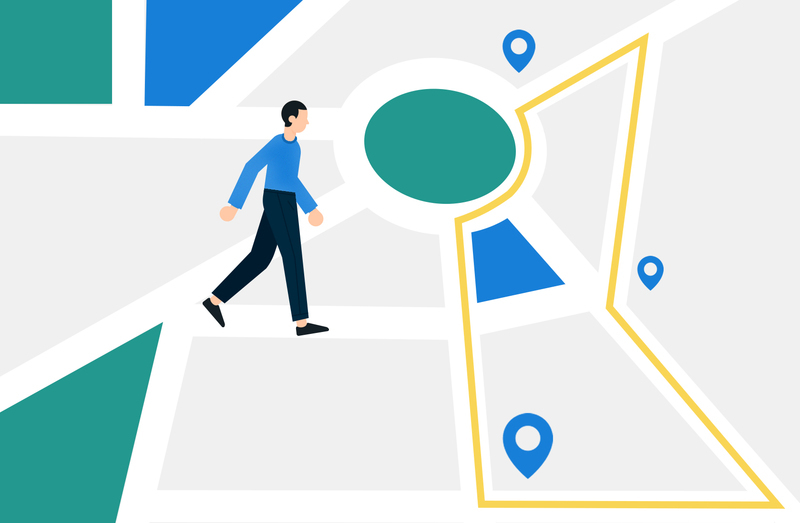 Geofencing is an effective tool if you want to collect and analyze data on the behavior of users in a particular area and under certain conditions (for example, who and how often visit the store and how much time they spend in it). Based on the information obtained, companies are developing new offers to attract additional clients and increase sales. This allows businessmen to use geofencing to enhance their customer service. Quality control. After the client has left your territory (provided that he was within its limits for a sufficient amount of time and, therefore, had a chance to buy something), you can send him a push or SMS with a small questionnaire. Ask him if he liked everything, if there are any wishes, and so on. And now let's talk more precisely and discuss different ways to use geofencing. So, what is geofencing marketing? Well, this is obviously a new development, a step forward after email marketing which has been one of the main ways of attracting attention on the Internet during a couple of years. But now, when mobile devices have come to replace large PCs, push notifications have taken precedence... however, only a few of them are worthy and therefore effective. The matter is that the business owner sends notifications to all of the customers, thus risking losing a loyal audience. The solution comes with geofencing marketing technology. Location-based marketing was initially very promising to use in the mobile segment. iBeacon, geofencing, and other similar technologies have made it even more relevant and in demand, allowing companies to reach their target user in a better way. So marketers have gotten a superb tool which allows optimizing and improving the quality of their work. They can build a geofencing marketing campaign and achieve amazing results. By the by, all that we further discuss in this section is, in fact, a kind of geofencing marketing. And now the next item on the agenda. What is geofencing advertising? In general, it’s also a part of location-based marketing. Though, not all marketers approve and recognize its effectiveness - and let’s agree, advertising can sometimes be annoyingly intrusive! But such intrusiveness is due to inability to properly influence a potential consumer. And the proper influence directly depends on how accurately you’ve identified your target customer. The good news is that geofencing tactics help you reach the target audience with a greater degree of accuracy. For example, a flower shop can start a local advertising campaign in honor of Valentine's Day, and then messages and notifications about favorable prices and the widest range of floral products will automatically appear in various mobile applications on smartphones of all people who pass nearby. Marketing and advertising are common concepts. What if we talk more specifically about various types of industries? Of course, we won’t be able to consider all of them, but we’ll cover the most key ones. And you’ll be able to complete the list by analogy. We guess a lot of businessmen are interested in the question of how to build a geofencing marketing campaign focused on the retail market. In fact, everything is rather simple! A customer is passing near the store? The application will send him a personalized coupon to buy at a profit. The visitor lingered near the shelf with shoes? The message about the discount on a specific pair of shoes will force him to purchase. A user isn't among your clients yet? Send him a push notification inviting to join the loyalty program. Broad analytics: campaign effectiveness, problem location analysis, etc. Control of the staff (say, if they leave their job area, the manager receives an appropriate alert). Creation of safe driving routes. When the driver moves out of the designated route (outside the geofenced areas), the system initiates an alarm. Fleet truck management. In addition to monitoring transport, we mean getting information that a certain vehicle has left or just entered the logistics center. Extra precautions. If the employer doesn't fully trust his staff, he should create a virtual geofence area which the driver isn't allowed to cross. Such "restricted areas" can include gas stations offering drivers cheap lunches in conjunction with high fuel prices. And now we’re going to give you a few geofencing use cases. Sephora is a great app aimed at make-up fanciers. The program belongs to the company of the same name, which is famous for its extensive network of cosmetics stores. The application has excellent functionality which, among other things, includes geofencing features: if the buyer visits one of the geofenced areas, he receives a notification about current promotions, discounts, and so on. The application is intended for parents interested in the welfare of their children. It offers many options to protect kids: monitoring battery level, remotely managing app settings, notifying parents of suspicious activities, informing them about search queries of children, etc. And one of the features implies taking advantage of geofencing: namely, safe GPS zones, the abandonment of which is undesirable. If this happens, the application sends a notification. 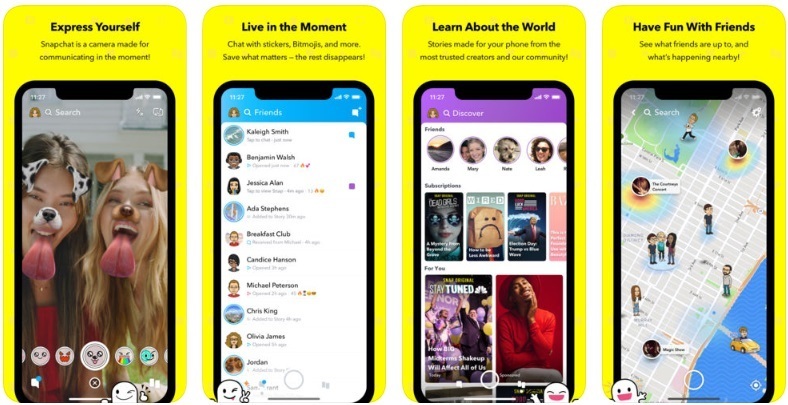 We’d also like to mention the application SnapChat: a program providing users with the possibility of exchanging messages with additional content (such as photos, videos, etc.). These messages have the capacious name "snaps". The application has found a very special use of the geofencing technology - geofilters which a person can supplement his messages with. When a user is in a certain area (say, in McDonald's), geofilters corresponding to the establishment in question become available to him (in the case of McDonald's, the filters are related to the theme of the fast food network). McDonald's profit is the most direct: promotion of its restaurants. Well, SnapChat (or rather, its owners) gets its financial benefits. Interested in making an app similar to SnapChat? The answer is right here, in our article! Remember that geofenced areas are abstract boundaries, and you may create a virtual geofence zone anyway, the whole world is at your service. The method is really cost-effective: all you have to do is open the map, select desirable territories, and your application will start tracking them without any delay. Impressive, right? Would you like to get more personal advice on how to put the geofencing tactic into practice? Or, maybe, you want to build a geofencing marketing campaign and need expert assistance? Contact us, we'll be happy to help! What is mobile app engagement and how to increase mobile app engagement? Read here!